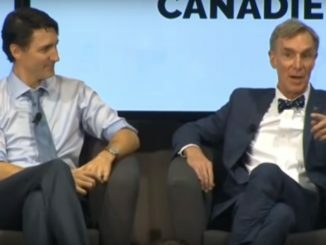 I know Justin Trudeau loves science because he likes to tell us all about it, he even loves to hang out with Bill Nye The Not Quite a Scientist Guy. 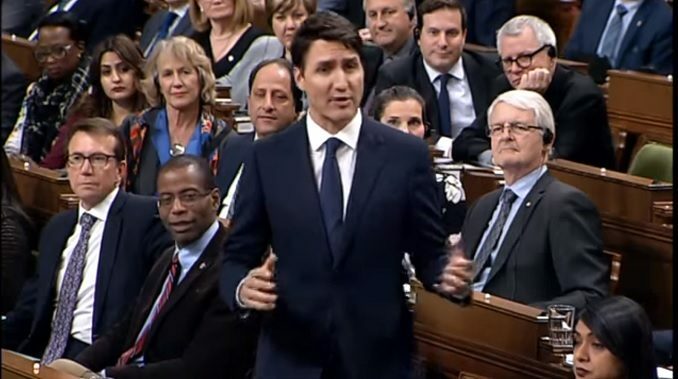 When he was campaigning to become prime minister, Trudeau would attack Stephen Harper and the Conservatives for not trusting scientists, not basing their policies on evidence or facts. Yet now we have Justin Trudeau and his cabinet unable to answer what should be basic questions about the evidence behind one of their biggest policies, a price on carbon. The Conservatives have a basic question, how much will greenhouse gas emissions go down as a result of the $50 a tonne carbon tax that Trudeau is bringing in. If the policy is based on science, on evidence, then the answer should be easy to provide. But the Liberals can’t or won’t give an answer. First it was Catherine McKenna at the Commons Environment Committee. The fact that the minister could not, or would not answer was stunning but when the prime minister is asked the same question almost a week later, you would imagine his staff would have written up a sensible reply. Nope. Watch as Trudeau fails to answer a simple question not once but twice. Well my hunch is that they do know the answer but they don’t want it to come out. 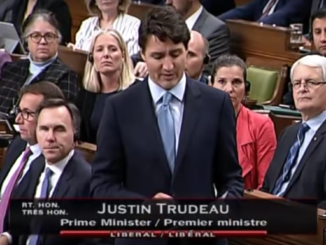 The Trudeau carbon tax plan starts at $10 a tonne and moves to $50 a tonne by 2022. According to several reports, Canada would need a much higher carbon tax to achieve the reductions this government has promised. An Environment Canada report from December 2015 said the price on carbon would need to be $300 a tonne to meet targets. A report issued by a pair of environmental economists last year suggest a price of between $150 and $220 a tonne. Either way those a prices far higher than the $50 a tonne Trudeau is selling. If we need the price to be that high in order to meet targets then the research likely suggests that a $50 a tonne carbon tax won’t have the desired effect that Trudeau is promising. You wouldn’t want that getting out now would you? They also are likely afraid to be discussing the need for an increased carbon tax before the next election. In October 2019, the price will still be so low that it won’t be too painful but what would the public say if they knew that Trudeau was going to hike the tax to $300? An honest answer would be that my life would be worse, my standard of living reduced, my health, wealth and flourishing reduced. Neither McKenna (Climate Barbie) nor Trudeau (Little Potato) can answer the question for one of two reasons, it won’t reduce greenhouse gas emissions or they don’t have any idea if it will. He can’t answer a question without bringing up Harper that is his way by not answering what a moron. I see a rather large tax grab that will cost every Canadian and not help the environment whatsoever. It’s about the money folks yours and mine and the government getting more of it. Al Gore the champion of Climate Change has made lots of dolllars flying around the world to speak as well as David Suzuki. I believe that this tax is for the greater good of those who hold power and not the greater good of we the people. Remember income tax was a temporary tax needed to pay for the war about 70 years ago… A car engine was invented years ago that could travel much further on a gallon of gas but the patton was bought by the oil companies that wanted to sell more gas. We have sent someone to the moon the technology exists to make things cleaner this is just about tax revenue for the government to waste. How does a TAX reduce carbon???? It’s been proven that taxes are not effective in changing behaviour, so how does a TAX reduce carbon???? Answer to your question is: It does not. It is a cash grab. Canada is broke and needs the money. Debt has now topped one trillion bucks. Is the one who asks the question stupid? 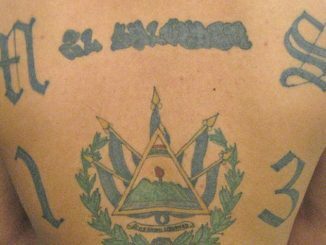 Ask the government scientists that questin not Trudope.